After testing out hundreds of recipes, Truett Cathy creates the recipe for the original chicken sandwich with two pickles on a toasted butter bun in 1964. Chick-fil-A established its corporate headquarters, recently renamed the Support Center, located just outside of downtown Atlanta. 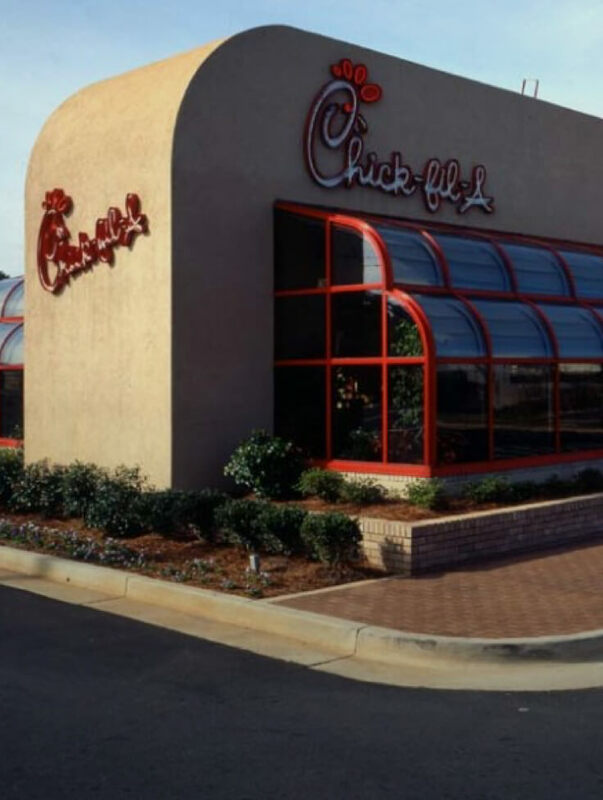 Chick-fil-A moves outside of the mall food court in 1986, opening its first stand-alone restaurant on North Druid Hills Road in Atlanta. The first advertising campaign featuring Holstein cows with the message "Eat Mor Chikin®". Chick-fil-A announces title sponsorship of one of the country's longest standing bowl games, the Chick-fil-A Peach Bowl™. For the first time, Chick-fil-A sales surpass $2 billion, securing the family-owned company as a billion-dollar brand. Advertising Week honors the Chick-fil-A "Eat Mor Chikin®" Cows as one of America’s most popular advertising icons by welcoming them as the newest members of New York’s Madison Avenue Advertising Walk of Fame. After a long and meaningful life, Chick-fil-A founder Truett Cathy passes away. In 2015 Chick-fil-A opens its doors in the heart of the Big Apple's Garment District at 37th and 6th. The three-story, 5,000-square-foot restaurant is the largest Chick-fil-A restaurant in the country and specifically designed for the busy lifestyle of New York customers. Family was always central to Truett Cathy's life and would shape his unique approach to business later in life. With his wife of 65 years, Jeannette, he had three children: Trudy, Don "Bubba", and Dan. The current generation of the Cathy family honors Truett's legacy and continues to put his principles into action in both business and philanthropy. Truett Cathy always maintained he wasn't in the chicken business, but the people business. From knowing his customers by name, to forming lifelong friendships with his employees, Cathy viewed his business as more than a source of revenue for him and his family; it was a source of encouragement to others. Truett Cathy had a special place in his heart for his employees. He believed -- as we still do -- that giving people the opportunities they need to succeed helps all of us prosper. Truett never went to college himself. That's why since 1973, Chick-fil-A has given more than $35 million in college scholarships to Chick-fil-A restaurant team members wishing to pursue higher education. 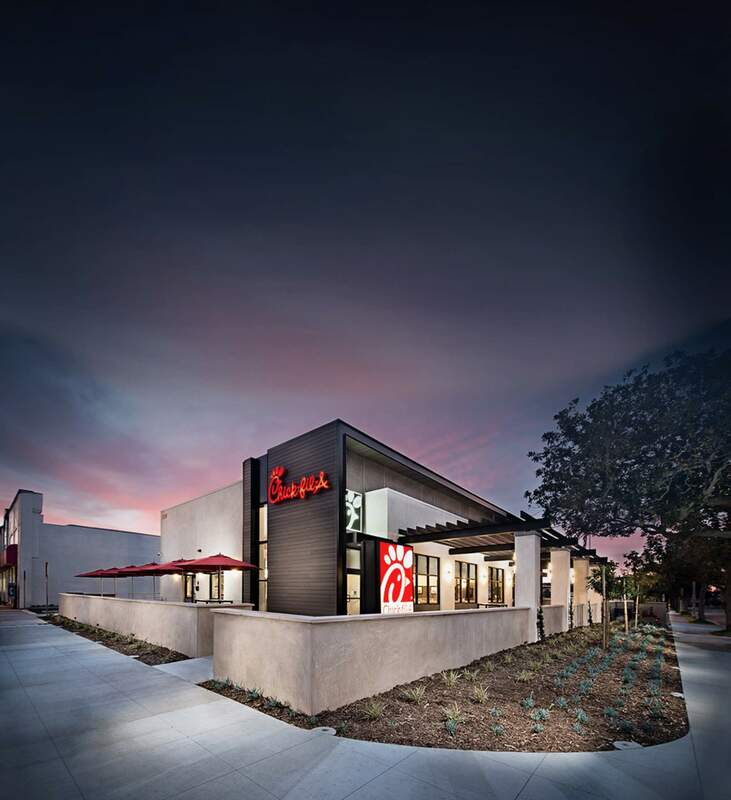 From New York City to Los Angeles, Chick-fil-A restaurants span the country from coast to coast. Now in 46 states and counting, we're joining new communities nearly every week.